Try your best not to cry. There are plenty of different ways that one could go about describing a car as beautiful as the Rolls-Royce Ghost Series II. 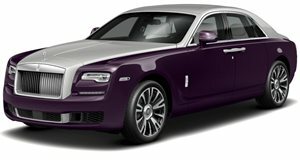 The latest Ghost is quite simply in a league of its own and one of the most advanced vehicles ever manufactured by Roll-Royce. Attention has been paid to the minutest of details on the exquisite luxury vehicle, so much so that it could potentially evoke deep emotions simply by being in its presence. In fact, the vehicle is practically poetic. For this very reason, rather than giving you the details of its specs, award-winning auto journalist Rory Reid decided to review the Ghost Series II with poetry. Listen in awe as Reid breaks down this beautiful Rolls-Royce in the most poetic car review we’ve ever heard.